Apple announced a new app for iOS 12 called “Measure.” It’s an augmented-reality app that works as a virtual ruler to measure length or distance using your iPhone’s camera. However, 7% of all AR apps on the App Store are measuring apps, according to data from mobile analytics company Sensor Tower. This isn’t the first time Apple has made existing apps obsolete. One of Apple’s new additions in iOS 12 might give some app developers something to worry about. Out of the 1,100 AR apps on the App Store, about 80 of them are measuring apps — or 7%, according to research done by Randy Nelson, head of mobile insights at Sensor Tower, a mobile app analytics company. 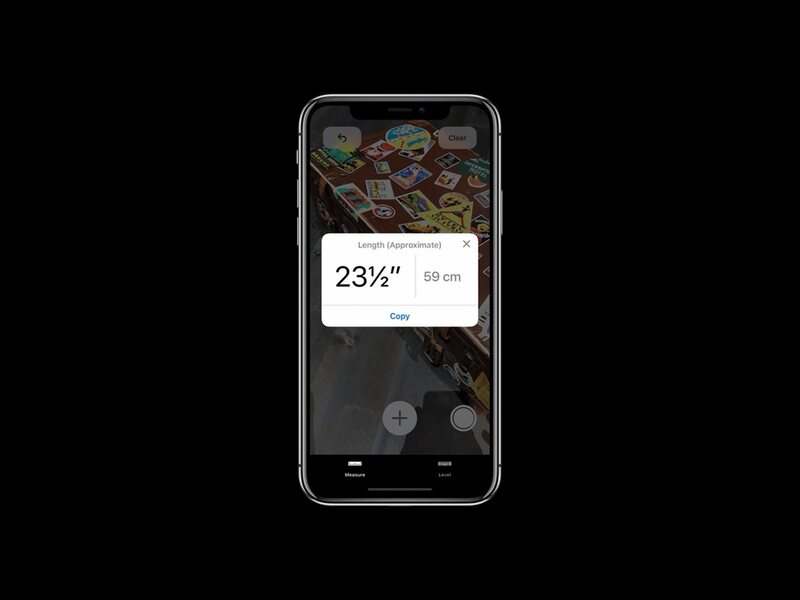 Considering how the Measure app will come standard on iOS 12, users will have little reason to download a second AR measuring app from the App Store unless it has other special features or abilities. Sensor Tower also estimated that current measuring apps have been downloaded more than 2 million times worldwide, and the most popular measuring app, AR MeasureKit, accounts for nearly a quarter of those downloads. AR MeasureKit is a paid app ($4.99), and appears to have more features than Apple’s upcoming Measure app. This is hardly the first time Apple has taken an existing app idea and made it standard. Apple killed off the popular concept of flashlight apps when they introduced its own flashlight function to the Control Center. And do you remember the Bump app that allowed file sharing by “bumping” two phones together? That was made obsolete by AirDrop, which lets phones share files, photos, data or contact information over the air. At this year’s WWDC, Apple revealed even more apps that threaten existing apps. The list of potentially soon-to-be obsolete apps includes Bitmoji, video chat apps, and IFTTT.